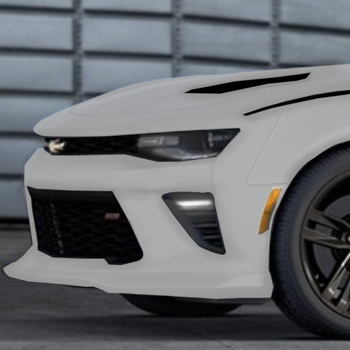 Create a dramatic, ground-hugging appearance for your Camaro with the aggressive front splitter from Camaro's ground effects package. It includes a Front Fascia Extension and is available in select body colors.
. 2016-18, dealer installed option, silver. No matter what you drive GM Wholesale Direct has you covered. We carry only the best genuine OEM parts for Chevrolet, GMC, Buick and Cadillac brands. OEM parts are manufactured for your specific vehicle and to the GM standards you’ve come to trust. Personalize, customize and accessorize with GM Wholesale Direct. With one of the largest genuine GM parts and accessory inventories in the country you are sure to get the item you need quickly at wholesale or better prices! Whether you need something as simple as an air filter for your vehicle or a more complex transfer case GM Wholesale Direct is here to help with all your OEM GM needs. Don't see something on the page you need? Feel free to contact us and we will build a custom order just for you. Our dedicated online parts associates are ready to help.